LOL Photo booth is a team of photo booth specialists in Kuala Lumpur who are looking forward to making your event fun and memorable. We believe in awesome photos, great people and firm handshakes. We offer photo booth rental in Kuala Lumpur, Malaysia. We offer photo booth for corporate events as well as wedding ceremony. For wedding ceremony, our professional team of photo booth enthusiasts know how important each and every wedding is from DIY to black tie! More importantly we understand that adding a photo booth to your celebration is something that should be simple, painless, and above all, fun! From well-established companies to small start-ups, our photo booth is guaranteed to impress and charm any CEO, employee or client. Whether you’re having a gala dinner, grand opening, a holiday party or just want to tell your employees ‘thank you’, we make it incredibly fun and easy to do. The LOL Photobooth creates a tangible connection between the user and your company. Our professional graphic designers will work with you to help brand the images in your favor. Due to this flexibility, our photos will serve as promotion on stage far and wide long after your event is over. With a gazillion events under our belt, our professional team of photo booth enthusiasts know how important each and every wedding is from DIY to black tie! More importantly we understand that adding a photo booth for wedding is something that should be simple, painless, and above all, fun! 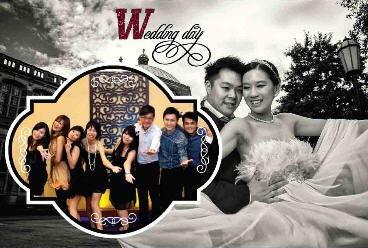 That’s why we make sure everything from booking LOL Photobooth to customizing your photo is always easy and enjoyable. We live and breathe photo booth and take great pride in what they represent. Nothing brings friends, families and even complete strangers together like LOL Photobooth. Your guests will love the chance to let their hair down, put on a mustache and share a moment in the LOL Photobooth that will forever be the topic on your coffee table. For centuries, milk has been the gift of Mother Nature. Just like the great pharaoh Cleopatra have revealed this natural treasure, and use it for luxurious milk baths. Her everlasting beauty using milk has conquered the world most powerful man, Caesar. Now the secret has come to live again. Inspired by the wonderful youthful skin of milk farm lady, our expert discovered how they use the overproduced milk in their bath and facial cleansing. Years of researched have turned Shakura™ into an incomparable pigmentation expert and the remarkable Shakura™ Formula has successfully helped thousands of women solved their pigmentation problems. Now Shakura™ has brought the love of Mother Nature to its full right in the signature house treatment. With the aid of our beauty expert, a smooth and silky spot-free skin is no longer impossible. You can now soak your skin in milk, and pamper yourself like a queen too. In just 1 session, your skin problem will be drastically improved and the wonderful experience will definitely be your unforgettable experience. The Shakura™ Signature Treatment–Shakura™ Active Formula is specially formulated with the perfect combination of Milk Essence and Red Ruby Roselle. It is naturally enriched with Vitamin C and amino acid, and has clinically proven to reduce pigmentation as well as discolouration. Shakura™ treatment proven its effectiveness by encourage the growth of new skin cells, unclogging and minimizing the pore size, stimulating the production of collagen and elastin as well as visibly lightening the pigmentation. With a simple treatment, your skin will be rehydrated and revived, bringing a new level of soft, smooth and radiant to the complexion. Addition to the Shakura™ treatment, you can expect a comprehensive skin analysis by our skin expert to thoroughly understand your skin problem. Besides, the centre will provide an intimate one-on-one consultation session, with close monitoring to make sure the progress is satisfactory, even at the comfort of your own home. 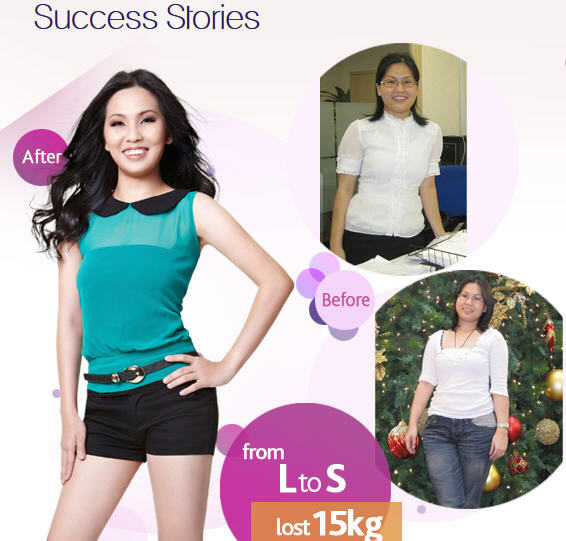 This result-proven formula has helped a lot of women to restore their beauty, to a revived and pigment-free skin. The accounts executive Lisa Chan had freckles at very young age. 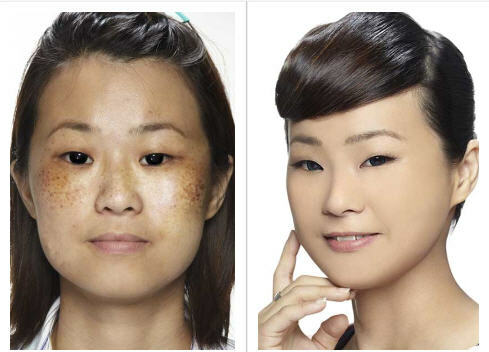 She applied many skin whitening and UV products but all of them didn’t work. 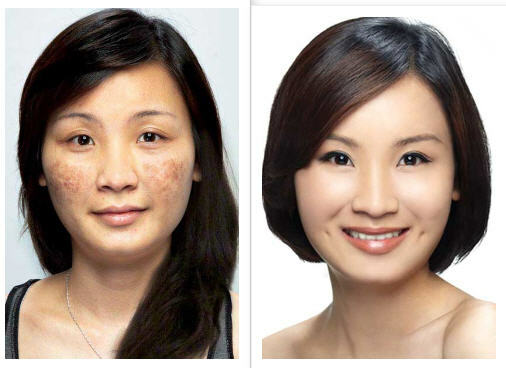 Jocelyn Tan has annoyed by the same pigmentation before visiting Shakura™ . It’s time to pamper yourself, and let your skin nourished with milk essence! Visit any Shakur™ outlets or log on to http://Shakura.com.my for more information. Claritas™ CRM deliver complete CRM solutions to organization and enhance their customer experience. Claritas™ as Malaysia CRM software believe in sharing their mission, collaborate as partner and grow together along their journey to success. Claritas™ methodology involves careful planning, management, and execution. This structure is formulated to provide a swift and efficient adoption of their product, and in a fraction of time and cost. Claritas™ emphasis on building long term relationship and assist organization to create exceptional customer value. In competitive business environment, you need to be able to communicate with your customers using a variety of channels, including voice, text, email and web chat. Is your contact center ready to capture these interactions? How will you monitor and manage quality, training, performance and compliance? Claritas™ Contact Centre Solution (CCS) is a complete call management system featuring capabilities such as call monitoring, call center management, call recording and call activity analysis. Contact Center CRM takes real time call management to the ultimate level with its ability to translate real time call data into management dashboard for call performance monitoring. And because all these happen in real time, you can quickly response to business need and changing conditions. Claritas™ Contact Center Solution undeniably gives you an easy-to-use tool to deliver consistent, efficient service that enhances customer loyalty to sustain long-term business and increase lifetime value. It completely customizable to suit your business processes and scale to meet your enterprise demands. Claritas™ Loyalty CRM Program is a strategic marketing approach where company focuses on customer growth and retention through rewards and incentive. One should not underestimate the powerful effect of loyalty marketing – it is an important process to generate recurring revenue and maintain brand loyalty. And this is exactly where Claritas™ CRM can expertly lend you a hand. Building customer loyalty is not an overnight process and implementing a CRM solution goes a long way in helping you to enhance brand awareness and customer satisfaction. Start adopting Claritas™ today and find out how Claritas™ can help you translate loyalty into money! Agensi Pekerjaan YDS Sdn Bhd (Company No. 933679-V) is the most admired service brand in the maid agency in Malaysia. With years of experience, YDS recruit maids from approved sources and countries namely the Philippines, Sri Lanka, Cambodia and Indonesia. YDS Sdn Bhd are registered with the Malaysia Ministry of Home Affairs and the Human Resources, and accredited by the Philippines Overseas Employment Administration (POEA), and the Sri Lankan Bureau of Foreign Employment (SLBFE). YDS Sdn Bhd are committed to provide you the finest maid – thoroughly screened, personally selected and assessed for professional skills – to give your family the necessary support in building a healthy and happy home. Hundreds of families have benefited from YDS experienced domestic helpers, placed in various positions including as live-in housekeepers, live-in nannies, and live-in maids. YDS Sdn Bhd is the only maid service in town that could provide you such convenience – that’s why they are pride in being YOUR MOST TRUSTED MAID AGENCY. YDS Sdn Bhd maintains the highest standard and quality in their workforce to be your most reliable and trusted maid agency in town. xTrain is established since 2008 focus on soft skill training that improve the performance and productivity of individual and organization. xTrain bring together a pool of highly qualified and experienced trainers with more than 2000 training days to train, coach and share of information during the trainings that prove to be extremely valuable and mind opening. xTrain team are dedicate to fulfil their promises to deliver only programs of the highest quality and greatest value. xTrain vision is to revolutionize the training industry in the Asia Pacific region by making training more effective, enjoyable and practical in terms of real world usage and localized content. xTrain believe the competition of the organization is technically the competition of your people. As such, to increase the competitiveness and competency of your people will definitely increase the competitiveness of your organization. xTrain mission is to deliver training based on their five core principles, which is Real World Trainers, Contextualized Content, Optimal Environment, Measurable Outcome and Customer Delight. xTrain top training programme including Performance Appraisal, Managing Expectation, Team and Individual Leadership Training, Effective Business Writing, Business Communication, High Impact Presentation, Conflict Resolution and Management, Negotiation, Influencing, Problem Solving, Time Management, Coaching and Mentoring, Change Management and Customer Service Training. 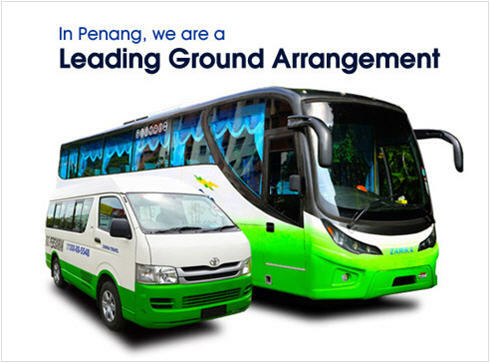 Zarika Travel Sdn Bhd is a prominent and well respected Penang travel agent company with a fleet or high quality coaches, vans & limousines in the travel industry of Penang, Malaysia. Zarika Travel Sdn Bhd delivering quality transportation services to local and national customers all over Peninsular Malaysia and Singapore. Zarika Travel’s staff is well trained and knowledgeable. They are committed to view all customer events as part of their own. Zarika Travel’s coaches provide spacious, comfortable seating and air conditioned interiors. Together with their pleasant and professional drivers, your journey with them will be a safe and pleasant one. Zarika Travel Sdn Bhd provide private van hire and coach hire, they can pick you up at your location, handle your luggage and take you directly to your destination, no other stops. Zarika Travel also offers luxury sedan service as well as group transportation to/from the airport or anywhere. Zarika Travel Sdn Bhd provide on time, cost-effective, luxurious coach services seven-days-a-week, 24-hours-a-day. Zarika Travel Sdn Bhd has comprehensive insurance coverage for the vehicles and all passengers. Zarika Travel buses are serviced regularly by authorized workshops and put through Malaysia Road Transport Department Mandatory General Inspection once a year. All passenger seats feature seat belts. The average age of their fleet is 5 years. So, choose Zarika Travel exclusive service for the most convenient, comfortable trip to the airport or anywhere! Kaoh Siung Trading Sdn. Bhd. with its production arm Koh Sing Technic Sdn. Bhd. (Factory) is among the leading manufacturers and suppliers of heaters and food packaging machinery based in Malaysia. We provide products and services to clients of various industries such as the plastic manufacturing industry, packaging industry, food processing industry, etc. The company was established in 1976 with the aim of offering excellent quality products to their clients and its philosophy is to ‘Understand the Client’s Needs’. With over 30 years of experience, Kaoh Siung Trading has successfully built up its reputation as a pioneer in heaters and packaging machines. Kaoh Siung Trading main products are including Packaging Machines such as Carton Sealer, Impulse Sealer & Direct Heat Sealer, Heaters and Thermocouples, Hot Runner Temperature Control System, Teflon (PTFE) Fabrics & Tapes and Industrial Accessories. In addition to the above standard products, their technical personnel are very flexible in designing and customizing products based on clients’ needs. The “OSAKA” series machinery that has gained a lot of compliments from clients is the proof to their capability in customization. Kaoh Siung Trading also provide import and trade high quality but affordable products to their clients as well. Kaoh Siung Trading always focused on QUALITY, SERVICE, and INNOVATION. Hence, Kaoh Siung Trading has earned solid reputation in the market in delivering high quality products, after-sales service and technical assistance. Olympia Air & Scuba Adventures is the one and only PADI diving Malaysia with 5 Star Instructor Development Centre in Subang Jaya! Olympia Air & Scuba Adventures provide Scuba Diving course Malaysia starting from beginners, (Open Water) right up to Professional (Instructor). The centre complete and comprehensive dive retail outlet provides all the scuba diving gear a diving enthusiast could ever need such as diving Masks, Fins, BCD’s and even Dive Computers. Olympia Air & Scuba Adventures offer the most prestigious and award winning brands the dive industry has ever produced, such as Mares, ScubaPro, Suunto and many more. Olympia Air & Scuba Adventures also have a dedicated team of Licensed Commercial Pilots to cater for your flying adventure appetite. With their range of Piper and Cessna aircrafts bring a whole new perspective to flying. They also provide custom chartered flights to nearby islands for a whimsical getaway if ever need be. At Olympia Air & Scuba Adventures, you’ll discover innovative ways to develop scuba skills and explore the natural perfection of the underwater world such as Diving Tioman Island. Jump right in today and let Olympia Air & Scuba Adventures take you to a depth beyond your imagination! Let’s go diving! So what are you waiting for, contact Olympia Air & Scuba Adventures to experience a whole new perspective and live life with adventure now! Comfort is important to People. No matter it is consistent temperatures throughout your home, indoor air quality, quieter operation, or comfortable humidity levels inside, There are many air conditioning service providers can offer you the most efficient HVAC equipment available and total peace of mind with your investment. 2. Daniels Air : Air Conditioning Frisco and Plano TX , Air Conditioning Flower Mound and Coppell TX . 3. 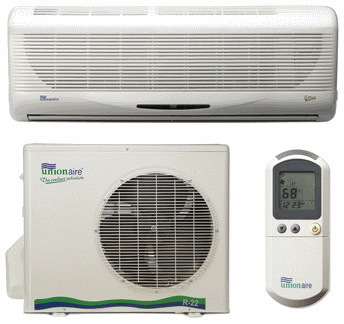 Unlimited Air Conditioning And Heating : air conditioning Richardson and air conditioning repair Dallas.